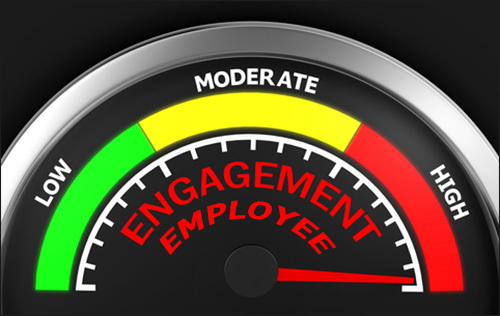 How Essential Is Employee Engagement For Your Brand? On Friday, I was asked to tag along to visit several dealerships in a hunt for a new car. Having grown up around cars in my late father's car repair shop, my entourage believe that I bring added insight to the matter, a misconception I maintain thanks to Google and the internet. When we set out on our grand tour, my companion told me beforehand which brand dealerships they had visited and which car had ranked more points in in the quest for it to be The One. As we hopped from one dealership to another, met with their salespeople, discussed the various vehicles specs and budgets and eventually had our own post review discussion, it dawned on me that there was a close correlation between some specific wording used by the salespeople and how we perceived the brand from our angle as customers. 2 dealerships were great, one of which was really excellent. This was aggravated by a more detached body language that made us feel that the salespeople just wanted to be done with answering the questions in order to go take a break. A more upbeat demeanor: they would immediately notice a new client walking in, greet promptly and engage in helpful but non intrusive discussion. While working with Cellis (FTML) one of the first two mobile operators in Lebanon, my speech always used the "We" form. When Cellis was substituted by what is now Alfa and the plethora of companies that have subsequently managed this brand name ("managed" being an overstatement here), myself and several of my colleagues drifted slowly but surely to using "They" when referring to the company even while we still worked there. In essence, no matter how deep business owners, management teams or any person in charge of brands choose to bury their heads in the sands of "employees are here to slave for me", at some point they need to wake up to the smell of disgruntled staff passively sabotaging the business just by their demeanor and body language (to begin with). The only time a business can carry on not giving a damn about it's employees and not suffer the consequences is when it is monopolizing a sector (and we know all about that in Lebanon). It goes beyond any doubt that whatever you seed internally in terms of employee engagement will surely trickle down to you customers. It won't matter how many discounts you do, how many offers you release, your brand will be always associated with the resentment emanating from your customer-facing staff. Good luck getting rid of that stench! GroupThink: It's Not You, It's Them!